Many users are asking if this tool works also with Exchange 2007. When I first heard about it, this thought came to my mind: “I bet it doesn’t as it is probably based on the Exchange 2010 New-MailboxImportRequest cmdlet!” Then, I read that Microsoft’s comment on this is that they haven’t tested the tool against Exchange 2007 and it might or might not work. This to me says that it probably works but Microsoft doesn’t want to support it! So, let’s give it a try! First, I decided to go for it and test the tool without any changes besides the requirement to only import to archive (Figure 2.18 in the second article of this series). Using the search I had already done I tried importing the same PST to a mailbox in Exchange 2007. I thought I would have to change the permissions on the service account at least, but it worked straight away without any issues! Notice that even though the PST file doesn’t have a Calendar, Contacts or Tasks folders, for example, they were created when importing to a 2007 mailbox but not on a 2010 mailbox. The other difference is that some items were marked as unread while in the 2010 mailbox they were left as read. Does this prove that the tool doesn’t use the 2010 PowerShell cmdlet I was thinking about, but probably some intellectual property acquired from RedGate? It could use both the New-MailboxImportRequest cmdlet for Exchange 2010 and the Import-Mailbox cmdlet for Exchange 2007 but from Microsoft’s comment I really doubt it. In order to confirm this, I used the Search-AdminAuditLog cmdlet in Exchange 2010 to look at all actions performed by the service account used but didn’t find anything. This to me proves it doesn’t use the Exchange cmdlets. 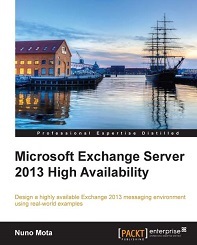 We don’t need any Exchange server as the import is done directly from the Console to Office 365! To finish this article, let’s explore some of the most common issues found with this tool. If the default port (TCP 6674) is changed then make sure the firewall(s) has an exception for the new port. The agent’s service is not running. In all my tests, everything from the PST’s Deleted Items folder was imported to the Inbox folder. Possible bug? A final report would help keep track of all the PSTs that have already been imported and which ones haven’t. Administrators have always struggled to contain the use of PSTs. With so small mailbox quotas in the “old days”, there was not much to do besides implementing a 3rd party (expensive) archive solution. With the introduction of Exchange 2010, Personal Archives and the possibility of using cheaper storage, mailbox quotas are now bigger than ever and PSTs don’t make much sense in most cases. This is where the Microsoft PST Capture Tool comes into play and helps administrators import all those PSTs back into Exchange. All in all, I think this is a brilliant tool! Can’t give all the credit to Microsoft as I don’t know how better or different this tool is when compared to the last one from RedGate, but whoever developed it did a great job! If Microsoft pays attention to the feedback from the online community, I will not be surprised if an updated version gets released soon. Having said that, as it is, I think the tool will meet practically everyone’s needs.